If you're looking for a fun winter getaway in the south, attending the annual Mobile Mardi Gras celebration might be a perfect choice for you. The very first Mardi Gras festivities took place in Mobile, Alabama in 1703, and immediately became an annual event for local residents. The first official Mardi Gras parade was held in 1840 by a group that called itself the Cowbellion de Rakin mystic society. The tradition of Mardi Gras parades continued to this day in Mobile, and has spread to numerous other cities throughout the United States. Even though New Orleans, LA is home to the largest and most well-known Mardi Gras celebration, this pre-Lenten carnival actually originated in Mobile, AL. 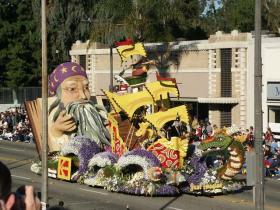 Mobile's mystic societies including both parading and non-parading organizations. These groups are private, membership-based organizations that put on parades, hold formal balls, and sponsor other social events in celebration of the Mardi Gras season. The original mystic societies were for men only, but there are now co-ed groups as well as gender-specific groups for men and women. There are also several mystic societies just for children. Mardi Gras in Mobile is a time of revelry and celebration, and includes a wide variety of activities sure to appeal to each member of the family. Many people feel that Mobile Mardi Gras is more family-friendly than Mardi Gras in New Orleans. Members of each parading mystic society dress up in masked costumes and ride floats up and down the streets of the city, throwing treats to crowds of cheering onlookers. Each group has a designated evening or afternoon to parade during the three weeks leading up to Fat Tuesday, which is always the day before Ash Wednesday. There is no fee for attending the parades, and they are open to the general public. For information about Mobile Mardi Gras parade schedules, routes, and vacation packages, see the Mobile Mardi Gras Facebook page. For members of the mystic societies and their invited guests, parades are topped off by elaborate Mardi Gras ball celebrations, featuring tableau presentations of masked members, dancing, food, and adult beverages. Evening balls are formal affairs, requiring floor length gowns for the ladies and Costume de Rigueur (white tie and tails) for gentlemen. You might even catch a glimpse of Mobile's famous Azalea Trail Maids. The Mobile Carnival Museum is a must-see for any visitors enjoying Mardi Gras in the city. Displays tell the story of how the local celebration evolved from its early days to the modern tradition it has become. The facility is home to numerous Mardi Gras artifacts, including elaborate costumes and crowns worn by local carnival royalty throughout the decades. Each year, two Naval vessels and a Coast Guard Cutter dock in Mobile during the Mardi Gras celebration. Visitors have an opportunity to tour these ships for an up close and personal view of working military vessels. Historic Fort Conde is home to an annual Mardi Gras carnival, offering midway rides, food vendors, games of chance, and other activities that children and adults alike are sure to enjoy. Downtown Mobile, which is where the bulk of the activities take place, is home to a number of restaurants and night clubs. Visitors can enjoy authentic southern cuisine, live music, dancing, and other forms of entertainment. Don't give up on your plans to participate in Mardi Gras if the downtown hotels are full. There are a number of convenient locations outside the immediate downtown area. Information about additional lodging options can be found on the Mobile Convention and Visitors Bureau's activity finder page. 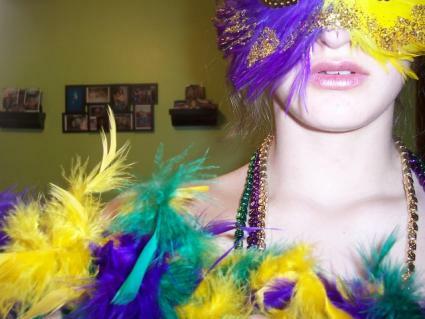 Keep in mind that the dates for Mardi Gras change each year, based on the beginning of Lent. In some years, the weather is quite chilly for the festivities, and in others spring weather starts about the same time as the parading begins. Be sure to pack accordingly. Make sure to bring a tote bag to take to the parades so you can easily hang on to the goodies you catch. When you choose to travel to Mobile during Mardi Gras, you're in for a unique vacation experience. Mardi Gras is a unique event in which everyone should participate at least once. Many visitors become so enamored with the festivities that they choose to make celebrating Mardi Gras in Mobile an annual tradition.